Can we discuss that adorable cheese knife? I took these photos at my Grandma’s house and when she saw what I was photographing, she automatically pulled it out. She’s the best. Now about this cheese ball; I don’t think a Christmas has gone by in the last ten years or so that I haven’t made it. I got the recipe from an aunt and have made it by memory ever since. Now it’s a tradition that no one lets me forget about, particularly my youngest sister. It’s her favorite. This year she’s offered to make it and I imagine we’ll just keep passing the recipe down the line as we get older. I love recipes like that. Stir everything together with a fork until well mixed. Roll into a ball and wrap in plastic wrap. 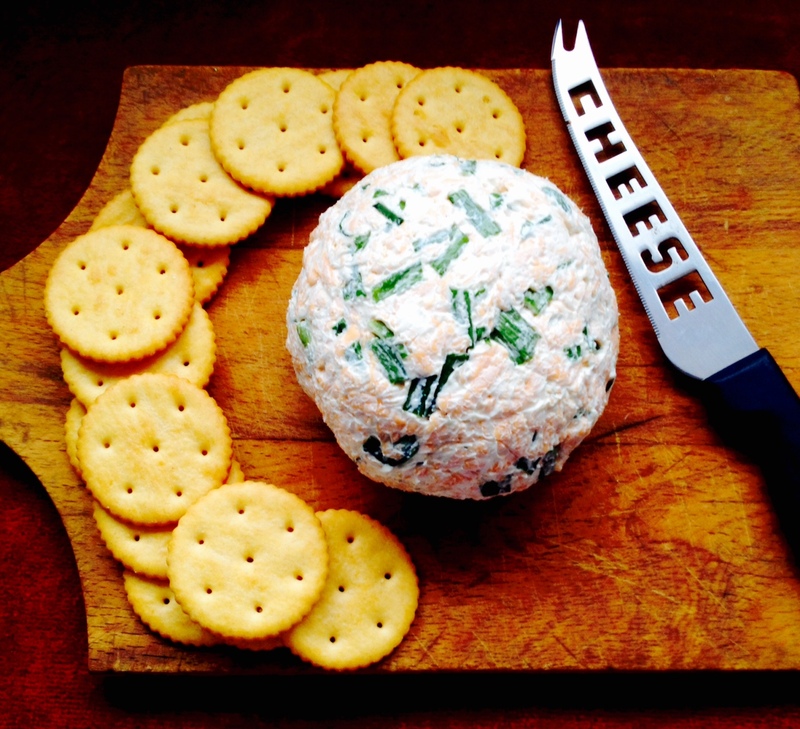 Place wrapped cheese ball in an airtight container with lid. Refrigerate overnight or at least several hours. Serve with crackers.